BusinessCast 270 with Scott Poitevent on "A Perfect Fit: Military Service and Darden"
2015 John R. Freeman Lecture - Shale Gas Development: A Big Environmental Experiment? Speaker: Dr. John Cherry Distinguished Emeritus Professor, University of Waterloo, Waterloo, ON The John R. Freeman Lesture is co-sponsored by the Environmental and Water Resources Group of the Boston Society of Civil Engineers Section (BSCES), the ASCE, and the MIT Department of Civil and Environmental Engineering. BusinessCast 271 with Sarah Tibor and Eliav Bitan on "Sustaining a Darden Tradition"
The Your Darden Annual Fund campaign invites members of the Darden School of Business community to share their stories of how the School has impacted their lives. Thank you to the alumni, faculty and students who shared their stories in this video! Make a gift to the Darden Annual Fund today: http://ow.ly/rK4OO. Thirty teams comprised of 120 Darden Second Year students showcased their original prototypes at the 2013 Product and Service Design Fair held at the University of Virginia Darden School of Business. In this ten-minute video Malcolm X appears on a television show in Chicago called "City Desk" on March 17, 1963. He enters a debate with the interviewers about his name, and explains that the real names of his people were destroyed during slavery. Graduating from The Culinary Institute of America (CIA) allowed Michael Ferraro to be a "step ahead" thanks to the guidance and education from some of the most qualified chefs in the world. At only 26 years old, Michael took over as executive chef at Delicatessen and MacBar in New York City, bringing his skills and passion for food. Now a partner of the successful eateries, Michael is a fixture of the New York food scene, bringing a sophisticated twist to comfort food. Barclays and four of its former executives have been charged with fraud, a throwback to the 2008 financial crisis when the bank raised billions from Qatari investors. But what happened nine years ago? And why have the company's actions been investigated? Also, how buyers are striking a hard deal at the Paris Air Show. And why meddling by Saudi Arabia’s Muhammad bin Salman in Aramco might scupper the world’s biggest IPO. Hosted by Simon Long. 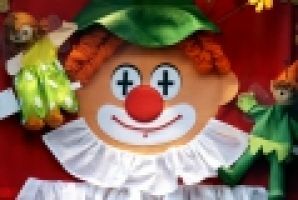 In dit Flipchartbestand (geschikt voor interwrite borden) vind je een lesidee voor het tekenen van een clown voor carnaval. From just 14 lines to the complete works. Comedian Lenny Henry and director Barrie Rutter talk about studying just 14 lines of Othello. Also Warwick's Peter Kirwan discusses his year seeing every production in the RSC's Complete Works Season.